Fossilized imprints and trackways record the movement and behavior of species long extinct. An amateur paleontologist discovered a fossil that has allowed others to follow the steps of a tiny 315-million year old tetrapod from the Carboniferous period. The paleontologists published their findings in the journal Ichnos: An International Journal for Plant and Animal Traces. The tracks were discovered by Gloria Melanson, an amateur paleontologist, along Nova Scotia’s Joggins Cliffs. 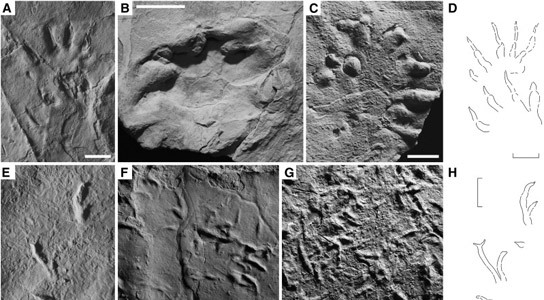 The tracks are the smallest fossil vertebrate footprints that have ever been found. The trackway contains about 30 footprints and is less than two inches in length. The actual imprints range from 0.09 to 0.06 of an inch each. It seemed to have been walking at normal pace before speeding up at the end of the slab. Ichnologists are always faced with the problem of identifying the exact species that made the trace fossils they study. Stimson et al. attribute the tracks to the ichnospecies Batrachichnus salamandroides, the name of this type of particular track, but not of the animal itself. 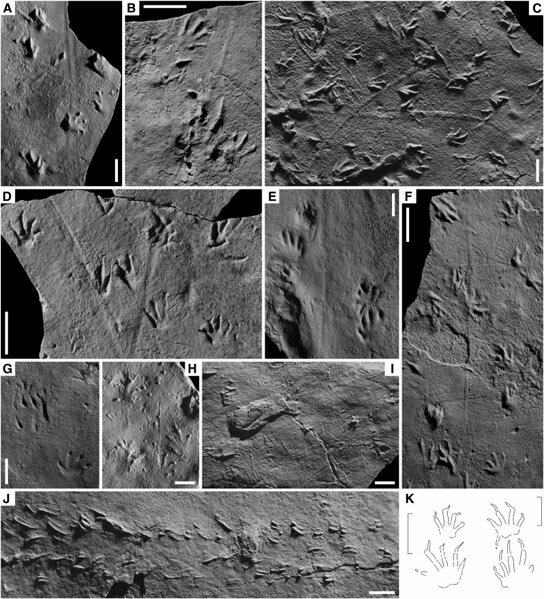 The tracks could have been made by a juvenile Dendrerpeton acadianum, a salamander-like amphibian whose articulated skeleton has been found in fossils inside the ancient lycopsid tree stumps. There are other candidates, including a microsaur, but without more information it’s hard to narrow it down to one exact species. 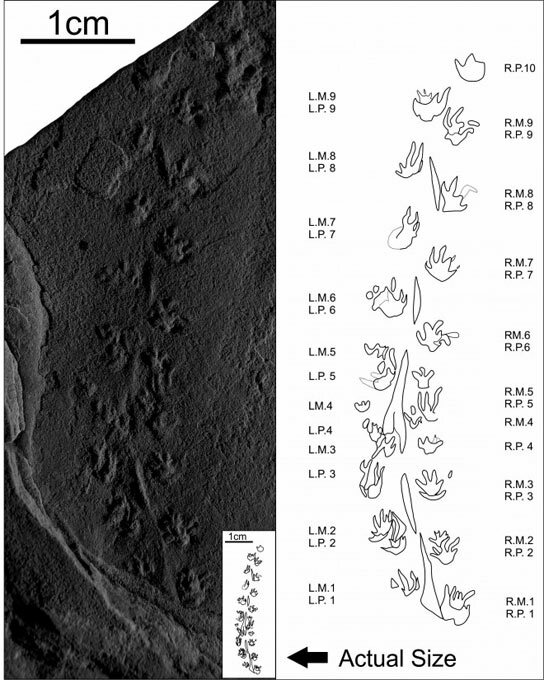 Be the first to comment on "World’s Smallest Fossilized Footsteps Are From Diminutive Tetrapod"